The possibility of doing a 1-day gorilla tour is one of the commonly asked questions by travelers coming to see mountain gorillas. Most of the short time travelers especially those who initially came for conferences, businesses and meetings have frequently asked how possible to see gorillas in one day. Many past travelers inquired about this possibility and so are the upcoming travelers who wish to see and spend some time with these gentle giants in the jungle in the shortest time possible. Since a close look into the eyes of the silverback is a dream for most if not all travelers, we now bring you details on how you can a 1-day gorilla trek in Uganda, Rwanda and Democratic Republic of Congo. Unlike in the past when gorilla trekking was only fro long time travelers, the activity has now been made easy by the introduction of 1 day gorilla tour which is suitable for short time travelers. Travelers are assured that after gorilla trekking, they are able to transfer back to the airport to catch-up with their return flights without out any delay. The fact that Kigali international airport is Rwanda’s own, doing a one-day gorilla tour is a walkway. On reaching the airport, travelers are immediately transferred to volcanoes National Park roughly 3 hours drives on the main road. Those already in Kigali are also reminded to wake up very early, transfer to the park headquarters to catch up with the pre trekking briefing about the do’s and do not’s while with the gorillas to ensure the safety of gorillas and travelers. Those connecting direct from the airport are picked at 4:30am to catch up with briefing at 7:00am at the national park headquarters in kinigi. 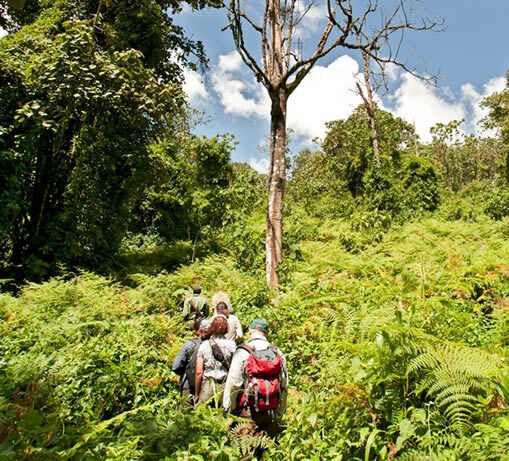 You are reminded that trekking time can be as short as 30 minutes or as long as 8 hours depending on where gorillas are located or their speed of their movements. Remember the time to spend in the jungle can be as short as 30 minutes to several hours depending on the location and movement of the allocated gorilla family. Treks are split in short, medium and long depending on the traveler’s ability to hike and physical fitness. 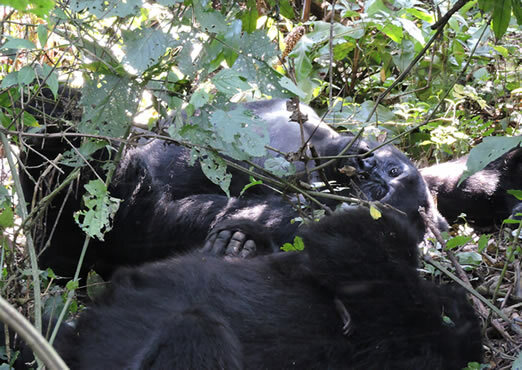 A 1-day gorilla trek in Uganda goes to Bwindi impenetrable forest national park. Travelers fly to Kigali international airport in Rwanda after which they are transferred to Uganda via Cyanika border in Kisoro district or Katuna border in Kabale district. As soon as travelers land at their airport, they are immediately picked and transferred to Uganda. Setting off is at 3:00am so as finish the border crossing procedures and catch up with briefing at the park headquarters in time (7:00am). Driving time is four hours to Rushaga in the south or Ruhija sector in the eastern part of Bwindi impenetrable forest national park. Endeavor to carry your trekking permit since no one is allowed to see these gentle giants without a valid permit. Fortunately, a single gorilla permit in Uganda costs 600usd for foreign non-residents, 500 for foreign residents and 250,000shs for East African residents, which is relatively cheaper compared to Rwanda. Much as Bwindi national park has four sectors, travelers are reminded that a 1-day gorilla tour can only be done in Rushaga and Ruhija sectors, which are close to Rwanda Uganda borders. 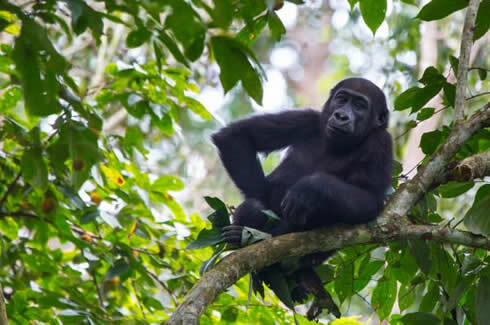 Those who want to trek gorillas in Buhoma or Rushaga are advised to do 2 days Uganda gorilla tour in which they have enough time to travel without getting late. Much as it’s not commonly done, travelers can also trek gorillas in Congo in one day. Travelers to do 1-day Congo gorilla tour must connect from kisoro through Bunagana border roughly four hours drive to Virunga national park. the four hours of driving therefore require travelers to depart at 4:00am to reach in time. Leaving out 1-day gorilla tour, doing a long safari is an exceptional experience, which reward travelers with much more to see and do beyond mountain gorillas. If you have time, you can use a long route, which expose you to other attractions in Uganda, Rwanda and Democratic Republic of Congo. Adventurous travelers are advised to spare more time and explore other attractions in whichever gorilla destination they choose to visit. For those trekking gorillas in Bwindi, flying to Entebbe international airport is the best option if you want to explore more of the pearl of Africa. The 10 hours drive from Entebbe to Bwindi is an opportunity for travelers to enjoy the beautiful sceneries of Uganda as well as getting enough time with the warm welcome people of Uganda en-route. Besides trekking mountain gorillas, can visit other tractions in Uganda, Rwanda and Congo or take part in other awesome activities to make your safari a complete package. Do not miss out a visit to Batwa people who live in the boundaries of these gorilla national parks. The Batwa are traditional dwellers of the forest that lived peacefully with wild animals and depended fully on the forest for a livelihood. These people were later forced out of the forest when gorilla tourism was introduced and forced to live in the park boundaries. 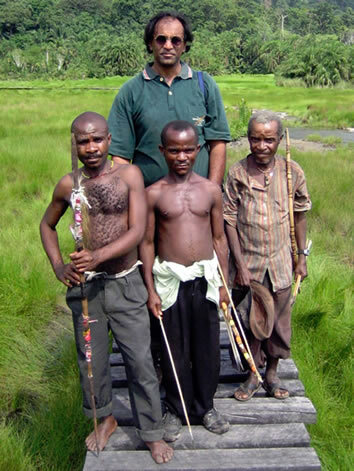 Travelers are introduced to Batwa’s forest life such as hunting, fruit gathering and honey collecting among others. As a form of entertainment, Batwa sing their traditional songs, dances and poems, which tell their stories of how peacefully lived with wild animals in the jungle. Also, Batwa sing their traditional dances and songs as a form of entertainment for the travelers. Taking part in the Batwa cultural visit expand travelers understanding of these ancient people hence unforgettable experience. After or before gorilla trekking, endeavor to walk through the forest, which help you to explore the calmness of the environments. Expect to meet different animals and bird species as well as enjoying the calmness of the environment. Experienced guides help you to spot and explain in details about different birds, animals and plant species. Forest walks are well done in the evening after which travelers return to their lodges for rest. Besides gorilla trekking, travelers can also hike any of the virunga volcanoes, which add, on their travel experiences. The available volcanic mountains to climb are Mt Muhabura, Mt Gahinga, Mt Sabyinyo, in Mgahinga, Mt karisimbi, Mt Bisoke and Mt Mikeno in Volcanoes, Mt Nyiragongo and Mt Nyamuragira in Virunga national park. Interestingly, some of these volcanoes are in the borders of either countries hence can be climbed from any of the countries. Also, each volcano reward travelers with spectacular views of other attractions in the neighborhood, which make the whole experience memorable. Travelers are reminded to be physically fit and carry enough drinking eater plus snacks to keep them strong. In conclusion, gorilla trekking is one of the best wildlife experiences the planet offers. 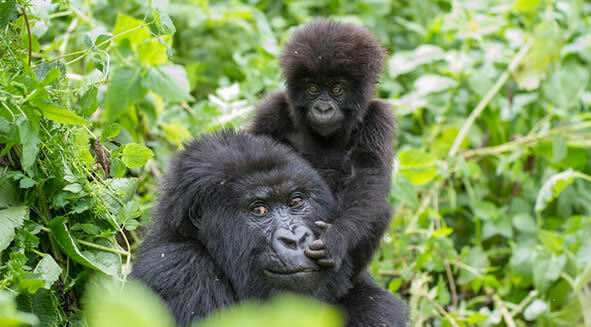 Book a 1-day gorilla tour to Uganda, Rwanda and Congo, take part in other activities and enjoy a memorable experience in the wilderness at affordable prices.